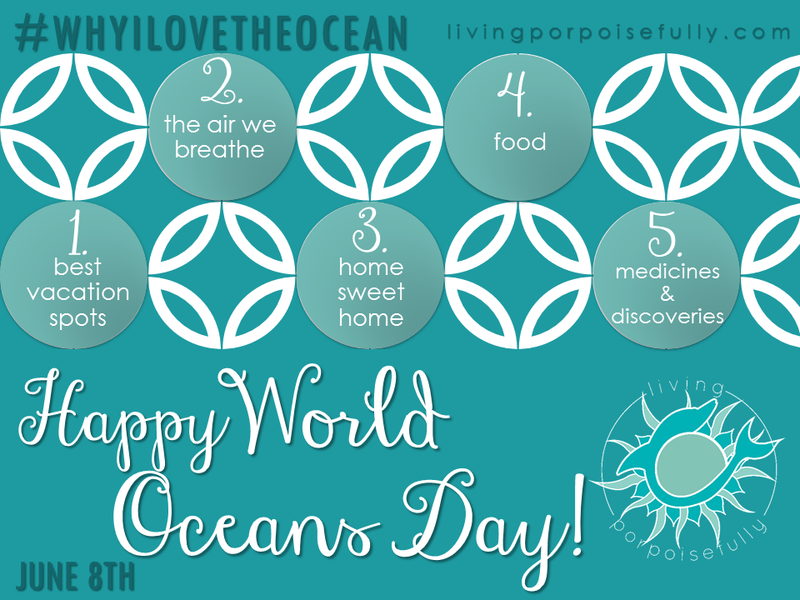 In celebration of World Oceans Day, here are the top 5 reasons why we love the ocean! Today is an exciting day to celebrate! Even though we keep the oceans close throughout the year, it’s nice to have a day dedicated to celebrating the very thing that plays a big part in making our world as we know it. 1. The best vacation spots. There is nothing quite like visiting seaside locales to get your relaxation and sense of adventure on! The invigorating sounds and smells of the sea can pair with dramatic cliffs, sandy mudflats, or tropical beaches, all making for a supremely sublime experience. 2. The air we breathe. That’s right – more than half of the oxygen we breathe comes from tiny plant-like creatures that live in the ocean called phytoplankton! Just think, one out of every two breaths comes from microscopic critters drifting in the ocean. Without ocean currents to move heat around the globe, the Earth’s climate would be way too extreme for humans to survive. We all owe our land dwelling capability to the ocean’s ever flowing liquid thermostat, regardless of how far inland we live! We get a spectacular array of menu items from the sea, from shellfish like scallops and shrimp to sport fish like mahi mahi. Unfortunately, much of the ocean’s bounty is in trouble due to overfishing, but people can help. So that we have a healthy ocean and seafood for generations to come, it’s more important now than ever to make sure that we’re not eating species that are overfished or caught in a way that harms the environment and other animals. To know which seafood choices are sustainable, check out www.seafoodwatch.com or download the Seafood Watch app. This is one global matter where our choices do make a difference! Besides seafood, there are also substances found in some types of non-fishy foods (like chocolate milk, whipped cream, ice cream) and even in some toothpastes that come from sea creatures like algae to add a creamy texture. Mmmmm! 5. Medicines and lifesaving discoveries. The amount of medical potential that’s in the ocean is vast, and right as you read this there are medicines that came from ocean creatures that are helping people all around the globe. The humble horseshoe crab produces a substance in its blood that is used to make sure that vaccines, IV’s and injectable drugs aren’t contaminated by bacteria. If you’ve ever gotten a vaccine or had a medicine injected into your veins, the horseshoe crab was to thank for keeping it safe! Well there you have it: the ocean does some pretty amazing things for us. Join in the celebration of World Oceans Day by sharing this with others!